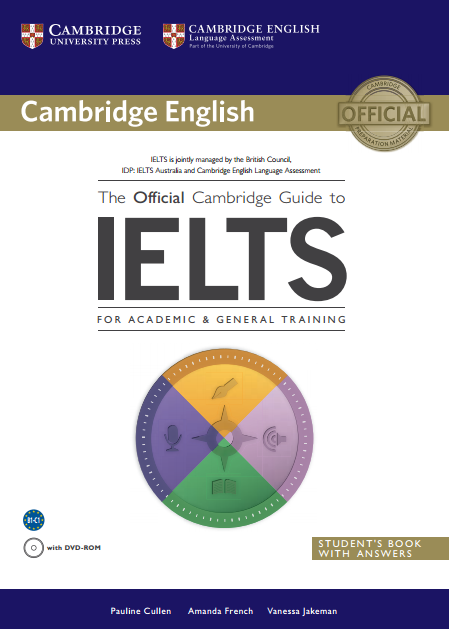 The Official Cambridge Guide To IELTS is the definitive guide to IELTS. The book contains all you need to succeed in the exam. Skill-building exercises cover all of the question types in the exam for both the General Training and Academic Modules. Eight official practice tests and a focus on test-taking strategy help you maximize your score. The DVD-ROM includes videos of the Speaking test, and all the listening material, including the tests, as MP3 files. Videos of the Speaking test give you a head start in a part of the exam which is tricky to prepare. Choose The Official Cambridge Guide To IELTS For Academic and General Training and be confident that you have the most authoritative preparation available for this life-changing exam.